Playa Vista, Calif. — Hyperloop Transportation Technologies (HyperloopTT) announced the establishment of HyperloopTT’s XO Square as part of a new multi-million dollar agreement with Brazil in Contagem, Minas Gerais. Located on 5.4 acres, the 43,000-square-foot XO Square will house the company’s new HyperloopTT logistic research division, a fabrication lab, and an ecosystem of leading global companies, startups, universities, innovators, scientists, and governments from all around the world focused on solving growing issues in logistics. The center is officially supported by the Government of the State of Minas Gerais, the State of Minas Gerais Research Foundation (FAPEMIG), the Federation of Industries of the State of Minas Gerais (FIEMG), and the Municipality of Contagem. The agreement was made through a public-private partnership (P3) with an investment of approximately $7.85 million in its first phase, which includes contributions from HyperloopTT, the Secretariat of Economic Development, Science, Technology and Higher Education (SEDECTES), and private investors. In addition, the physical space of 5.4 acres and 43,000 square feet of constructed space has been provided by the Municipality of Contagem. “The government of Minas Gerais works towards promoting the State’s innovation and entrepreneurship scenario, encouraging young people to become involved in research and technology. Our objective is to connect large companies and startups, generating businesses and smart solutions for different areas. Knowing that Minas Gerais will host HyperloopTT’s research center, means that we are contributing with the State’s economic growth throughout different paths, such as science, technology and innovation. This choice strengthens and boosts credibility for the actions being developed by the government,” said State Secretary of SEDECTES, Miguel Corrêa. According to the Mayor of Contagem, the public administration has worked to attract innovation, taking advantage of the city’s logistics capacity, in addition to investments of more than R$ 1 billion to be made in urban mobility in the next three years. 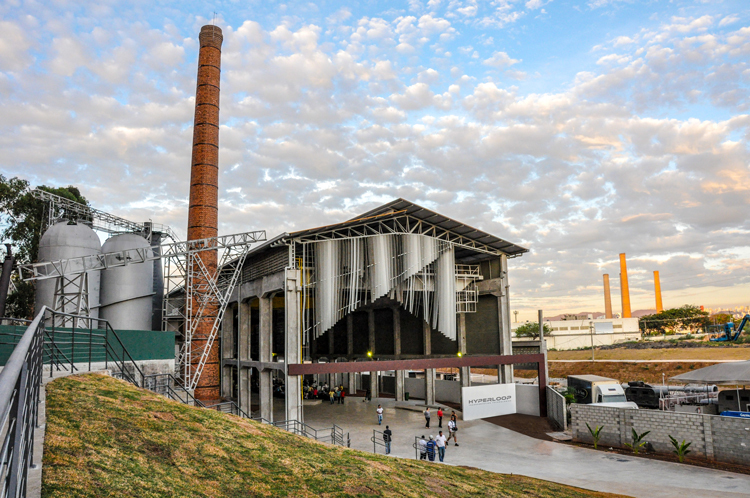 “Contagem is known as the cradle of the State’s industry and we are betting on a new industrial revolution in the metropolitan area of Belo Horizonte. The effects of this will be very positive in the sense of generating wealth and knowledge and in the self-esteem of the population,” said Alex de Freita, the Mayor of Contagem.